"Once again Greg has saved me from an otherwise over priced repair bill. I've been doing business with Greg long before he opened his own shop. He's very friendly, knowledgable and truly cares about customer satisfaction. This time it was the thermostat on my 325i that was working incorrectly. Greg loaned me his personal vehicle for the afternoon while he repaired my car for a fraction of what the dealership would have charged me. 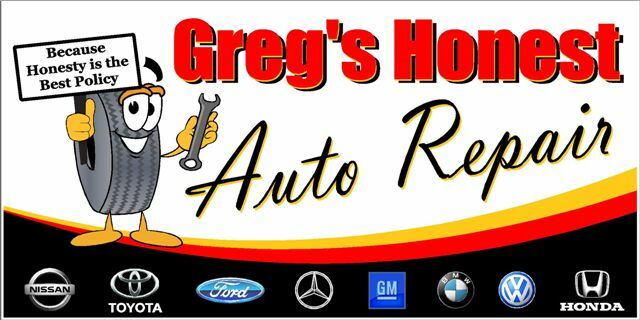 We have 4 vehicles in our family and Greg services all of them. Kudos to Greg and his technician Angel." "I found Greg's shop on a craigslist ad. My dad kept telling me to put synthetic oil in my car so it will last longer. When I saw they were a amsoil dealer I decided to stop by and check them out. Greg greeted me at the door with a nice smile and offered me a cup of coffee while he explained the benefits of using synthetic oil. The oil change was quick and he rotated my tires and checked my brakes at no extra charge. Needless to say, I've found my new mechanic." "My Mercedes was running terrible and the dealer wanted over 1300.00 to repair it. A friend told me about Greg's shop so I took it over for an estimate. Greg assured me he would use the same genuine parts my dealer uses and he would have his factory trained technician work on my car. Not only is the car running like new but Greg saved me over 400.00 to boot. He went out of his way to show me my old parts and explain why they had failed. I happened to notice all the old parts were saved in original Mercedes packaging so I felt even more confident that he had in fact used the same parts my dealer would have used. A big thanks to Greg and his technician Angel. You have made a customer for life....."
"I brought in a quote from a local shop to have my rear struts replaced. Not only did you save me over 50.00 but the job was done quickly and I got a better warranty too.